Long time Halo fan, nerd, rock star, streamer, cookie lover. We're all out of bubblegum. We came here to kick BLAM! and chew bubblegum. DO NOT MESSAGE MANAGEMENT ON XBOX LIVE LOOKING FOR A SPOT. ANY MESSAGES WILL GET YOU BLOCKED AND YOUR REQUEST DELETED! WE EARNED THE ACHILLES ARMOR ON JUNE 16TH, 2016. NEW MEMBERS WILL NOT RECEIVE IT. WE EARNED THE ACHILLES HELMET ON AUGUST 12TH, 2018. NEW MEMBERS WILL NOT RECEIVE IT EITHER. If we are at 100 members, requests to join will be left in our inbox and eligible Spartans will be accepted as spaces open up. Do not message us on Xbox Live, only on Waypoint.  We will not accept players with less than 100 matches in Halo 5 or an all-time top CSR below Silver. Anyone not meeting this will have their request rejected. Any requests from players who are already enlisted in a different spartan company will be rejected. If you request to join, please be patient as we don't always get to our messages right away. One of our leaders will check the applications at least once every week. Any bigotry, personal attacks or harassment will not be tolerated and is grounds for immediate dismissal and ban from the company. There's nothing wrong with trash talk or having a foul mouth but we will not tolerate racism, sexism, homophobia, ect. If you are having an issue with one of our members, please message our leadership. Griefing will not be tolerated. We all know it's easier to splatter a teammate than an enemy in Halo 5, nobody's getting booted for accidentally backing their Ghost over someone, but if you're repeatedly killing the other members of your team in matchmaking, we're not going to want you to be part of our team. Unexcused inactivity of 60 days will result in dismissal without notice. If you think you may be inactive for 60 days or more, please let the leaders know and we will make note. We've seen injuries, extended trips and school prevent players from playing in a 60 day period. We're not going to penalize anyone for having life come up. If you appear to have just lost interest in Halo and stop playing, you're fair game to get cut. If you believe you were unfairly cut, message TopherXPwns. If it appears a player is barely playing in order to get around the 60 day rule, the leaders may decide to remove them. With only 100 possible spots in the roster, it only hurts us to keep someone if they're only playing one or two matches a month. If I can look at the first page of your game history and it's still showing matches from 3 weeks ago, you're not going to last long. We will not spawn trap or farm other players. We REFUSED to reduce ourselves to such cheap tactics to obtain our Achilles armor. We got there and we EARNED it legitimately. Additionally, we're not going to stall winning objective games just to get extra kills. TopherXPwns is the founder and leader of the company and handles most of the requests as well as roster cuts. Vakama905 controls our community sessions. SideSwyped, WreckItRayy and HugeCandy Dude are founding members of the company but are usually not active on Waypoint. Messages to them will go unread. All of us are in contact with each other over various means. Any planning, problems or other matters of note are typically shared between us all. We started as a crew of 4 long term Halo veterans and teammates of over a decade. We currently have Spartans from all across the globe. We are very low pressure. We don't ask you to maintain an amazing K/D or win %, nor a minimum level. We just want people who love Halo and are going to remain dedicated to playing and actively contributing to the company. We encourage our members to be active and social in our private forum here on Waypoint as well as in our private discord chat server. We are lone wolves, we are team players, we play arena, we play Warzone, we are young, we are old, we are new recruits and we are veterans from day one. We are the Warzone Wrecking Crew. do you have faith in 343i for Halo 6? Not particularly. They've just taken any faith I had in them already and let it go to waste.